Gavit said he had decided to join the Sena as per the directives of Chief Minister Devendra Fadnavis. Ending all speculation, the Shiv Sena on Tuesday gave the Palghar Lok Sabha seat to outgoing Bharatiya Janata Party (BJP) MP Rajendra Gavit in a ‘partner exchange’ formula. The Sena’s aspirant, Shriniwas Vanaga – who had contested the by-election in 2018 against BJP’s Gavit – stepped aside and agreed to enter the Maharashtra Assembly through the elections slated later in 2019. “I have not forgotten my (last year’s) promise. Vanaga is my responsibility. 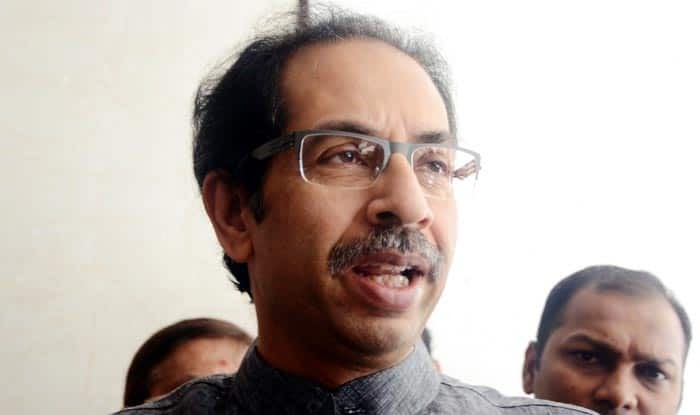 First we will get him elected to the Assembly and later also send him to the Lok Sabha,” Sena President Uddhav Thackeray said, formally admitting Gavit to the party on Tuesday. On his part, Vanaga said he and his family had decided against contesting the Lok Sabha battle this time and instead concentrate on the Palghar Assembly seat. “I shall continue to work in Palghar district and later contest the Assembly elections…,” said Vanaga, son of former BJP MP, the late Chintaman Vanaga. Sena senior leader and Minister Eknath Shinde said that in view of the BJP-Sena alliance which was worked out in February, Vanaga insisted on nominating Gavit for the Palghar seat, while he volunteered to undertake responsibilities in the state. Thackeray said that ‘swapping partners’ was not a new phenomenon for the Sena and cited previous examples, “as this would help further strengthen the saffron alliance in the state”. Assuring full cooperation to Vanaga, Gavit said he had decided to join the Sena as per the directives of Chief Minister Devendra Fadnavis since the Palghar constituency fell in the Sena’s quota after the alliance. “In the past seven months as MP, I have worked hard in the constituency and enjoy good relations with both Thackeray and Fadnavis which will continue to be strengthened,” Gavit said. While the crucial Palghar issue has been resolved, the ticklish issue of Mumbai North-East remains a Gordian’s knot, sending panic signals among party activists. While the BJP is keen to re-nominate sitting MP Kirit Somaiya, the Sena is strongly opposed to his candidature and openly threatened to work for his defeat. An exasperated Revenue Minister Chandrakant Patil admitted that there are huge differences between the BJP-Sena and it is now left to the party high command to intervene and hammer out a mutually acceptable solution.